The material on this page is for informational purposes only and should not be used for diagnosis, treatment or understood as a recommendation for any course of action for any medical condition. The MSA Shoe has used all reasonable care in compiling the information but makes no warranty as to its accuracy. Every visitor to this website should consult with a doctor or other health care professional for diagnosis and/or treatment of any medical condition. The MSA Shoe will collect personal information (such as your name, address, telephone number or e-mail address) and demographic information (such as zip code or age). When MSA Shoe receives personal or demographic information, we will only use it for reasonable purposes. For example, we may use this information to contact you, via email or regular mail, to provide you with information we believe may be of interest. Such information may also be used for compiling data and analysis to understand your needs and for other programs, research and fundraising activities that support the mission of the MSA Shoe. Mailing List: To register for our newsletters and other updates or activities of the MSA Shoe you will need to provide us with your name, mailing address, and email address (if digital communications are desired). If you no longer desire to receive our communications, you may follow the “unsubscribe” instructions included in our communications and/or contact us directly and request that your email address or physical address be removed from the mailing list. 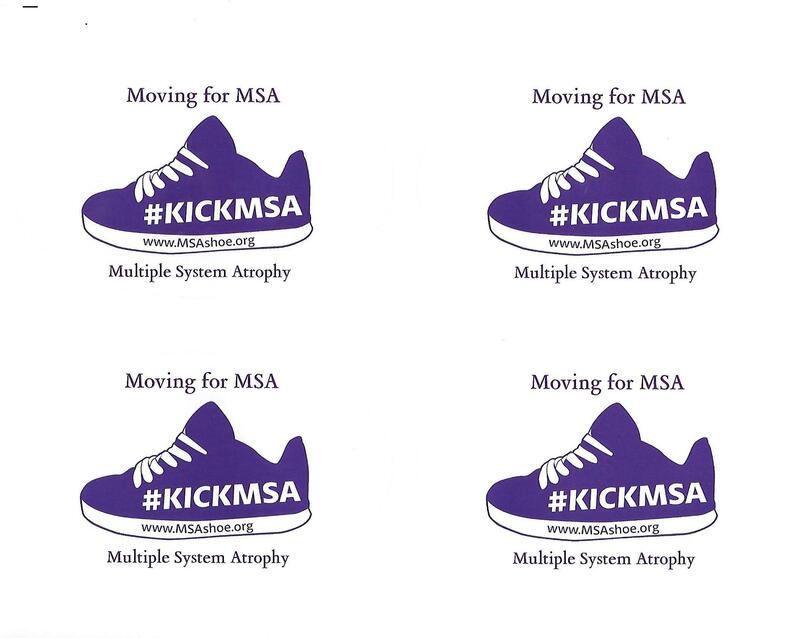 Contributions: If you choose to make a financial contribution to MSA Shoe, we will need to collect your mailing information and standard credit card information (card number, card type, expiration date) and keep a record of your financial transaction. Credit card numbers are held only until the charge can be processed (usually several minutes), then the number is only available to the credit card processing department for purposes of problem resolution. Cookies: Cookies allow us to customize the information we provide according to your profile and preferences. Widely used on the Internet, cookies have become an industry standard. Although a cookie cannot, in and of itself, identify you, it can identify your computer. Your browser is most likely set up to accept cookies automatically. If you’d like to disable cookies, you may do so by adjusting the options or preferences in your browser. However, by doing so, you may lose some of the functionality of our website. IP Addresses: An IP address is a number that is automatically assigned to your computer whenever you begin service with an Internet service provider. MSA Shoe may collect IP addresses for the purposes of system administration and to audit the use of our website. Each time you log onto and each time you request one of our pages, our server logs your IP address. Although we log your session with us, we will not link your IP address to anything that can enable us to identify you. MSA Shoe utilizes secure sockets layer, or SSL, to protect information. SSL is an encryption technology that provides secure communications over the Internet. It does this by verifying that the server to which you are connected is actually the one it claims to be. It also encrypts all transactions between the parties communicating. Encryption is the scrambling of information as it is transmitted over the Internet to protect your confidentiality. MSA Shoe uses SSL protocol when secure communication with you is necessary. For example, SSL protocol is active when you make a donation, which means that the personal and credit card information passing between your computer and our server is encrypted. This means that while your information is in transit it is scrambled so that only MSA Shoe can reassemble it in its original text format. When some of the links on MSA Shoe are clicked, they automatically open up a new mail message from your default email application (e.g., email links to “Contact Us” links). This is a common feature on websites, which are used to enable you to email directly from your email account. Any message sent this way will be as private a communication as any other email you would send from your email account. Be sure to take note of whom you are sending the message to by looking in the “To:” box of your new message. We may also have put a subject heading in the “Subject:” box and/or attached some content in the body of the message or as an attachment (e.g., “Email a Page to a Friend”). As with all email, be sure to use caution with regard to what information you are sending and to whom you are sending it. Once sent, the recipient will know your email address and any other information provided in the body of the message or as an attachment. Except as otherwise indicated, our privacy policies apply only to your use of MSA Shoe. This website contains links to other sites. We do not disclose personally identifiable information to those operating linked sites and we are not responsible for their privacy practices. Links to other sites do not imply an endorsement of the materials or policies of those websites. You should read the privacy policies of each site you visit to determine what information that site may be collecting about you. Notwithstanding anything to the contrary, we may release your personal information to third parties: (1) to comply with valid legal requirements such as a law, regulation, search warrant, subpoena or court order; or (2) in special cases, such as a physical threat to you or others.